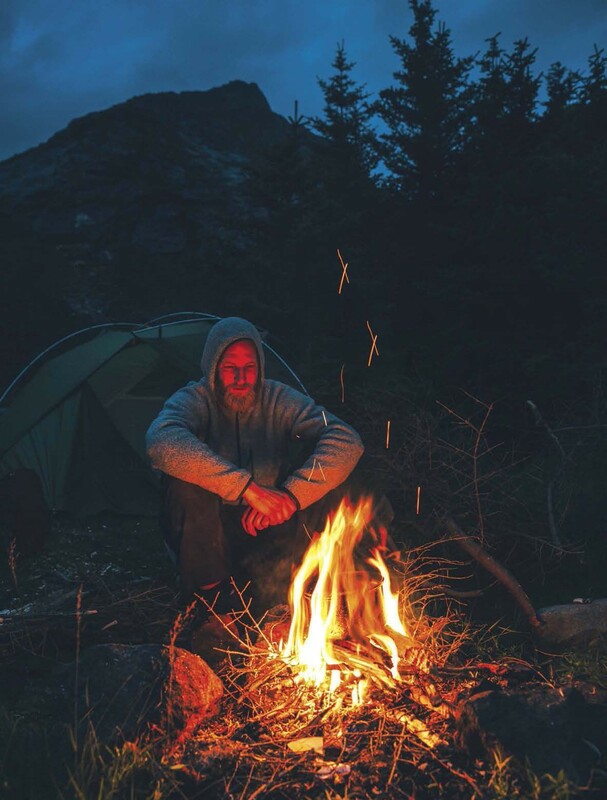 A teepee ire lay is the most commonly used ire for warmth or for boiling directly above the lame. It can also act as a basis for starting other ire lays. 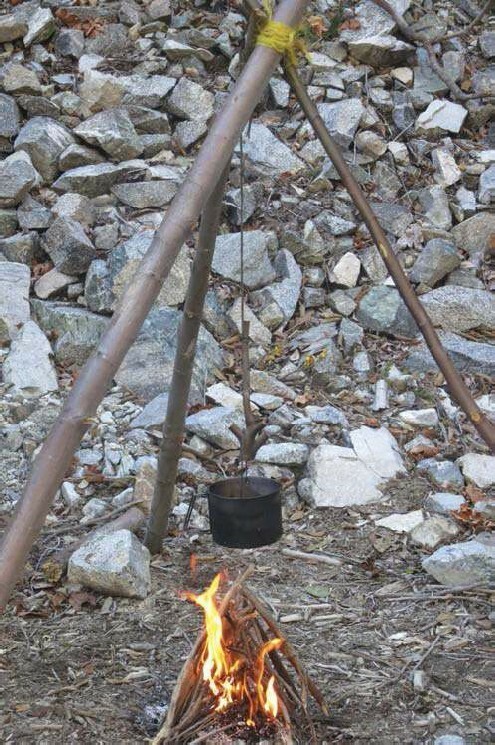 Here, the author used a teepee ire to boil water in a kettle suspended on a large tripod. The lean-to is the author’s preferred ire lay for the simplicity and eficiency it ofers. 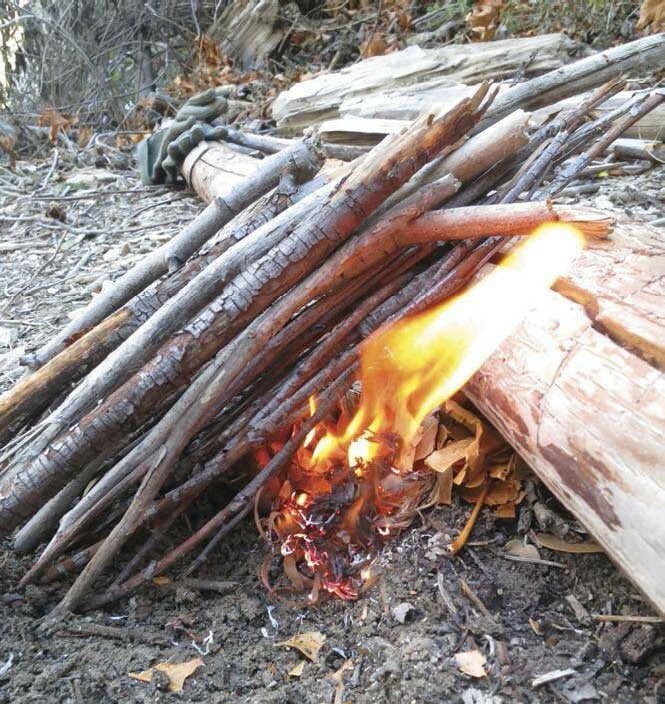 It can be used to start a hunter’s ire by adding another log or large stone parallel to the lean-to log.